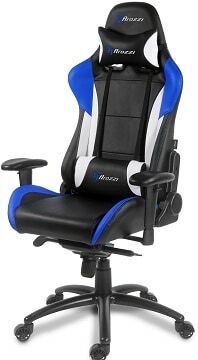 Arozzi Verona Pro Review 2019 - Is This Gaming Chair Worth It? Normally, when people are shopping for a chair, they’ll look at the padding or the additional features. Sometimes, though, you want a chair that makes a statement. The Arozzi Verona Pro is such a chair, but it’s not just easy on the eyes; it actually has a lot more to offer than just that. Now, the first thing to note is that this model has been replaced by the Verona V2, so if you want one, you’ll have to buy it from a third-party supplier. Despite its age, we believe that the Verona Pro is still a worthwhile chair, and we’ll explain why below. 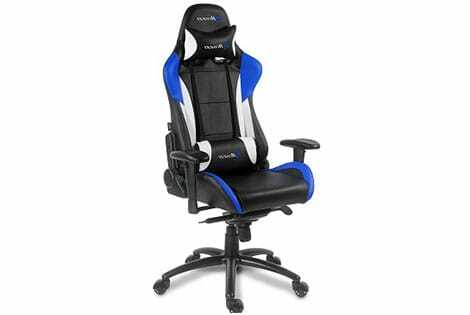 This chair comes with removable and adjustable lumbar/headrest cushions to allow you to remain comfortable at all times. 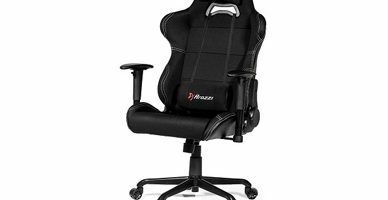 Notice how the shape of the seat almost envelops the user; this helps to redistribute pressure throughout your body and reduces the chance of back strain after long periods of sitting. 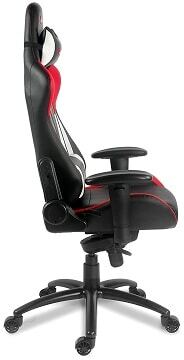 The seat itself boasts extra padding, and the armrests can be moved into whichever position you find most comfortable. We liked that the frame, while sturdy, is also light enough to move around easily. You can also rock back and forth, or recline if you’d prefer. There is, of course, a locking function for the recliner. If the plain black color scheme doesn’t do it for you, you might prefer one of the five other colors. With a striking, three-tone design, these chairs say “I’m professional, but strictly smart-casual”. Even the mechanisms are designed to look good, with the recliner dial covered by a sleek black and white veneer. You don’t have to worry about damaging it, either. With faux leather upholstery, you can quickly clean up any spills without the danger of staining or water-damage. If we had to find something to complain about, it’d be the branding: is it really necessary to have three Arozzi logos? Probably not. 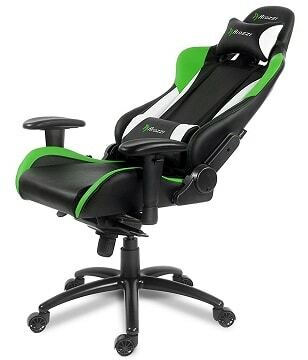 This chair comes in several easy to assemble parts. The entire assembly process should take less than 15 minutes, which is great. On the other hand, its lightweight frame lacks some of the strength that rivals boast. As such, the Verona Pro has a weight limit of just 286lbs – around 16lb less than most competing chairs. 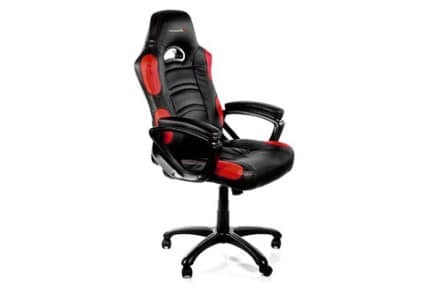 While this is a great chair, it’s been updated and the original is hard to find. Considering the new version costs around the same price (about $330), there’s really no reason to buy this model unless you find one on sale at a third-party distributor.